Concerned about the wellbeing of your dog? 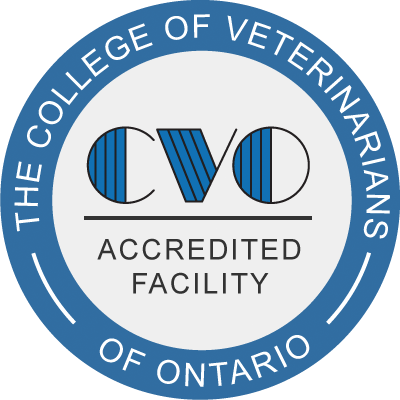 At Woodbine Animal Clinic, our dedicated veterinary team is here to help your furry friends stay healthy and happy! Pet health care comes with its own specific challenges—and you want a veterinarian who is familiar with them. Our team encounters a number of canine specific health concerns on a regular basis. Conditions like ear infections, diarrhea or vomiting, and internal or external parasites are all fairly common. Treating some dog illnesses may be an easy fix, but a visit with the vet is always a good idea. 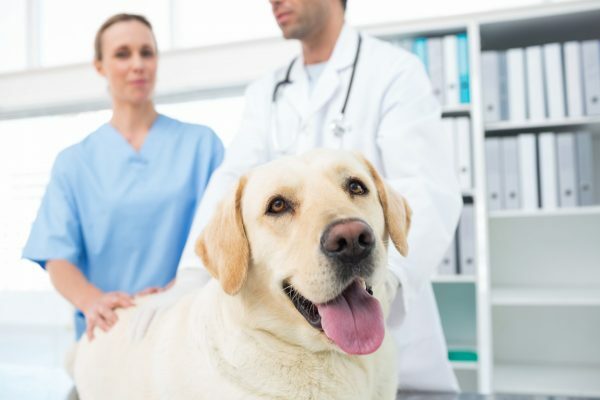 At Woodbine, our veterinarians are highly experienced and knowledgeable about dog health, the common causes of illnesses and how to treat them. Sticking to the advice of your vet is the best strategy for ensuring you have a healthy dog in the long term! How many vet visits will my new puppy need for vaccinations? After getting a new puppy, you need to follow the proper vaccination schedule. Puppies will need three visit to the vet during their first few months with you. The purpose of these visits is not only to receive vaccines, but also to get deworming medication and have a full physical examination. These check-ups will allow the veterinary team to ensure your puppy is staying healthy and happy. Once these three initial visits are done, you should also book an appointment for a spay or neuter surgery in a few months’ time, as well as a yearly exam for more vaccinations. What could be making my dog itchy? If you have an itchy dog, then the primary suspect is food allergies, environmental allergies or flea allergy dermatitis (FAD). It can be tricky to diagnose food allergies, as they can take time to identify on the part of the pet owner. Environmental allergies or flea allergies are easier to figure out, but a visit to the vet is still advisable. Your veterinarian will be able to recommend the best treatment plan for your dog, including products to ease their discomfort. How can I best treat my dog for fleas or other parasites? The best way to address fleas or other parasites is to visit your veterinarian. There are many products available outside of your veterinarian that will provide a quick fix for fleas. Most of these products will not kill the flea eggs and, within another month, your dog will have fleas again. Some products in pet stores can be effective, but there may be a risk to your dog’s health. Our team recommends Revolution, which kills both fleas and their eggs on your dog and in your home. This topical product is applied monthly from May to November. If your dog has been to visit our animal clinic in the last year, then it can be prescribed to you without an appointment. If we have not seen your dog before, then an exam will be required.